feed advisors, external partners and customers. equations and use state-of-the-art formulation functionality at any time. evaluate immediately the cost impact of their adaptations. assurance will produce their own data and reports without compromising core data. nutritional knowledge to interested parties all over the world. preferences by analyzing adaptations made by the client. demonstrated for the first time at the IPPE show: Hall A, booth 3118. Happy new year for 2013 to all members, readers and contributors of the International Milling Directory. There has been a new press release detailing some finer points of this month’s IPPE convention in Atlanta, Georgia, USA. We are excited and proud to be a media partner and exhibitor at this event from 29-31 January 2013. Do look for us at stand 1700! Exciting times are coming to Atlanta, Georgia, the week of January 28 – February 1, 2013, with the integration of three internationally recognized trade shows joining forces to bring suppliers and buyers together for education, technology exchange and networking encompassing the entire spectrum of farm to table. The combination of the International Poultry Expo (IPE), International Feed Expo (IFE) and American Meat Institute’s International Meat Expo (IME) will bring in over 25,000 attendees from over 100 countries and over 1,000 exhibitors. The week will feature educational opportunities every day. In addition, the trade show, being held January 29 – 31, is anticipated to feature over 400,000 net square feet of exhibits, placing the show in the top 50 of all trade shows in the United States. 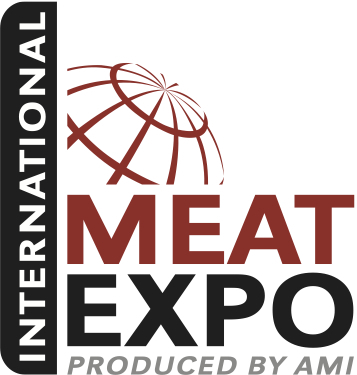 The addition of the American Meat Institute’s (AMI) International Meat Expo will expand the number of processing, further processing and packaging suppliers to the show. Additionally, AMI will be adding several educational programs that week to complement the sessions being offered by the U.S. Poultry & Egg Association and the American Feed Industry Association. The show provides an excellent opportunity to see the latest developments and technology, get training and updates through the educational programs, and to network and meet people from all over the world to exchange experiences and ideas. This year will feature two networking receptions. On the opening day of the show (Tuesday, January 29), there will be a reception from 4 – 6 p.m. on the floor of the show. On Wednesday, back by popular demand, there be a reception at the Georgia Aquarium, the world’s largest enclosed aquarium. 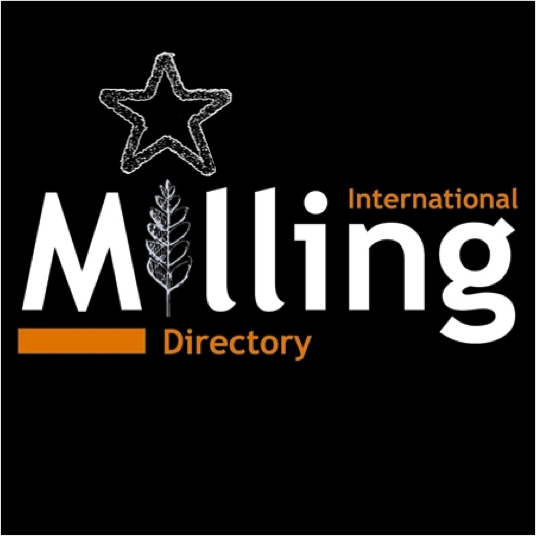 We’re signing off for Christmas here at the International Milling Directory (IMD). Since this blog was launched in Spring of this year, 2012, we have seen it develop and become an important part of the IMD. Traffic has increased to a total of over 2000 hits. Press releases have been published. New members have been introduced. Events have been live blogged. We can only hope for progress and success in the new year for the IMD as we look ahead to the production cycle and publication of the 2013/14 edition. Another new member has joined The International Milling Directory. The Taiwan-based manufacturer is a company dedicated to ‘complete instrumentation solutions’. FineTek’s product line includes a varied and wide quantity of digital controllers and meters, pneumatic products, safety instruments, level switch transmitters for solid and liquid applications. However all impressive this range of categories are, we are interested most in the manufacture of the level sensor for silo bulk storage. This product is the key selling point for a justifiable place in the International Milling Directory. This alone is all the more impressive considering their research and development arm is an integral part of the company, which sets a strong “backbone” of the company. 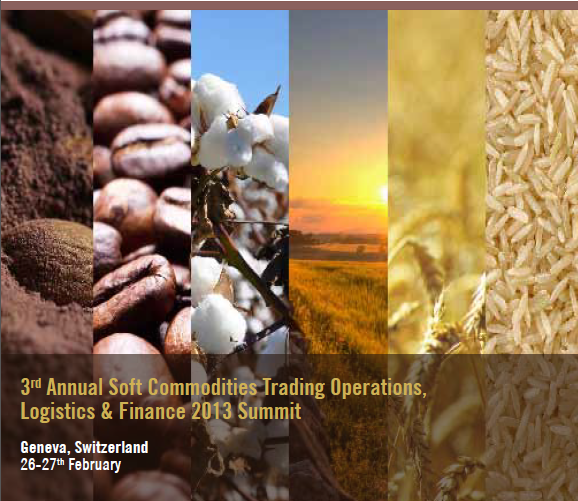 OLAM and GAFTA to speak at the high-profile Soft Commodities Summit: February 2013, Geneva, Switzerland. International Milling Directory staff and some members are entering a second day of ISRMAX in Delhi, India. Marking events is something we at Milling International like to do for our readers and International Milling Directory members but we always look ahead to future industry events. One event we are excited about is the Soft Commodities Summit taking place in the scenic city of Geneva, Switzerland in February next year. The volatile and changing market presents new demands, and the need has arisen to get fresh insights into dealing with priorities in the most effective way. With this in mind, the International Research Network (IRN) brings you an even more focused event with fresh content and sessions on 26-27th February 2013 where you can pick up unrivalled advice and insights on how to develop excellence in every part of your organisation; from building efficient strategies to reducing costs and risks across the supply chain and of course engaging your corporate responsibility towards the crucial new challenges of the industry. Senior level practitioners across the soft commodities industry will be addressing exclusive presentations over the two days. Olam, Cargill, Armajaro, Ameropa, Louis Dreyfus and HSBC are among the numerous companies involved in the forum this year again. Through interactive presentations, case studies and workshops, their senior-level representatives will be looking at the best practices in terms of reducing costs and driving efficiency within the operations. They will demonstrate in real concrete cases the strategies that can be put in place to help the industry embrace effective approaches to challenges such as sustainability, integration of developing countries, keeping up with the logistical and legal aspects, risk management across the supply chain as well as human and resource asset development. ‘Jagdish Parihar, Managing Director, Natural Fibers Division, Olam International Ltd’ will be discussing the long-term future of agricultural commodities and the key challenges. ‘Pamela Kirby Johnson OBE, Director General, GAFTA’ will be discussing Warehousing – Assessing effective measures and practices in quality control, standards and certification challenges. Financial institutions and commodity finance specialists will also have a look at the implications of the Euro zone crisis on the industry. The summit is a must-attend event for professionals involved in the soft commodities trading industry, whether they deal with rice, cocoa, cotton, sugar, coffee or grains. It is a critical point to bring the key players in the industry together once again. SCT 2013 has been designed to allow discussions, benchmarking and networking. Registration for the summit is open at http://www.softssummit.com/. International Milling Directory members have joined the International Sales Manager, Darren Parris and the Associate Editor, Alice Neal of our sister magazine, Grain & Feed Milling Technology in Delhi, India for the first day of ISRMAX India 2012. They join a total of 200 exhibitors. This show is the first of its kind in India and the role of our joint parent, Perendale Publishers has been to exhibit and partner with previous client companies to develop our standing in the region. ISRMAX is an exhibition that focuses on A to Z of Rice industry. All the technology related to storage, weighing, cleaning, drying, milling, sorting, bagging, and material handling is displayed from all corners of the world along with renowned brands of Basmati rice. World class conference program is also being organized parallel to the exhibition. The show was organised by Pixie Consulting. Facebook: We’re getting ready to fly to Delhi for ISRMAX India 2012. Visit us on stand D-40 where we’ll be joined by Silos Cordoba, Bruker Optic and Schenck Process and stand A-190 where we have the pleasure of hosting Alltech, O&J Hojtryk and Biomin. See you there December 13-15, 2012. Grain & Feed Milling Technology is already printed and distributed in hard copy throughout India and this show builds on our presence there. As recent news shows, the grain market in India is the second-largest in the world and has a huge impact on prices of other markets. Added to a population of approximately 1 billion people, India has a important place in the current and future landscape of milling. RICE & GRAIN EXPO – Schenk Process/Redler, Silos Cordoba, Symaga, Ottevanger, Bruker Optik, Jaekering & Grain & Feed Milling Technology Magazine. MEAT & POULTRY – Yongli, Yara, EuroFeed Technologies, GePro, Lallemand and Grain & Feed Milling Technology Magazine. SWINE & PORK – Dent Ltd, Seaborough Pigs Ltd, MJ Kiddy & Son, Guy Kiddy Training & Consultancy & The British Pig Association. If you are attending this show, it runs for two more days. Meet Darren and Alice at stand D-40 and A-190 as well as our exhibiting guests. Plus, get a free copy of the International Milling Directory by visiting the Perendale stands at ISRMAX! IPPE – Records broken already! The 2013 International Production & Processing Expo (IPPE) has set a record with over 1,150 exhibitors, covering more than 430,000 net square feet (over 21 acres) of exhibition space. 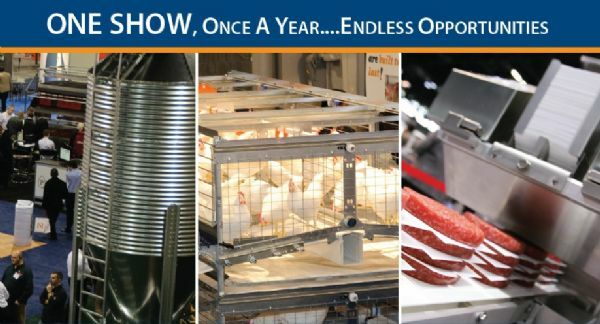 Comprised of the three integrated trade shows — International Poultry Expo, International Feed Expo, and AMI’s International Meat Expo – IPPE is still expanding in numbers with eight weeks left until the start of the Expo. ‘We very much appreciate the participation of so many of our industry’s suppliers. Their support of the IPPE helps each of our trade associations accomplish our respective mission for our industries,’ said John Starkey, president of USPOULTRY. 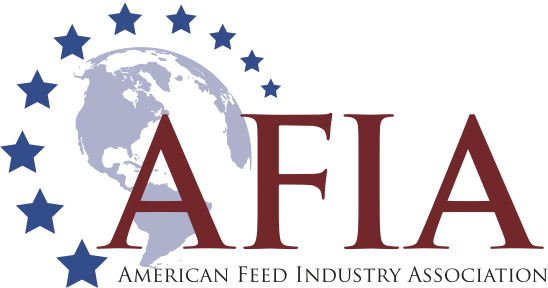 ‘With the continued response we have been receiving, we are excited to see what the next few weeks will bring us going into the Expo,’ said Joel G. Newman, AFIA President & CEO. The Expo will also feature dynamic education programs that will be held from January 28 through February 1, 2013 and will include the annual line-up of the International Poultry Scientific Forum, Pet Food Conference, Animal Agricultural Sustainability Summit, andInternational Feed Education Program. In addition, the 2013 IPPE will feature eleven new educational programs: Recalls and Public Health Investigations; Improving Food Safety, Sanitation and Maintenance; Animal Care and Handling: Focus on Poultry Processing; Meat and Poultry Processing: A Global Perspective; Consumer Trends; Plant Operations and Management; Antibiotics Conference – Current Issues for the Poultry & Egg Industry; The Future of the U.S. Egg Industry; Meat & Poultry Research Conference; Media Training for the Meat & Poultry Industry; and Poultry Handling and Transportation Quality “Train the Trainer” Workshop. Also returning for this year is the Poultry Market Intelligence Forum and the International Rendering Symposium. Perendale, publishers of The International Milling Directory will see you there. We will be located at stand 1700 so do come and see us. The International Milling Directory has a new member in its ranks. Please give a warm welcome on this cold day to Borg Mills of Egypt. The are a specialist in wheat milling and bring The International Milling Directory further diversified listings to serve new markets. The broad horizons attract new members and our 22nd edition 2013/14 will surely be all the better for the inclusion of Borg Mills. Mr Mazin Merkkawi is their registered contact for more information and details about their business activity. The best online information about Borg Mills of Egypt was found today online at: http://www.processcrusher.com/mining-solutions/borg-el-arab-rice-milling-co.html. Go to their entry in the directory here. The California Rice Commission was organized under the provisions of the California Food and Agriculture Code Section 71071. The commission operates under the overview of the California Secretary of Agriculture. See a recent playlist of videos here. International Milling Directory member,Modern Process Equipment Corporation of Chicago, IL, USA, features its new product for peanuts and tree nuts. 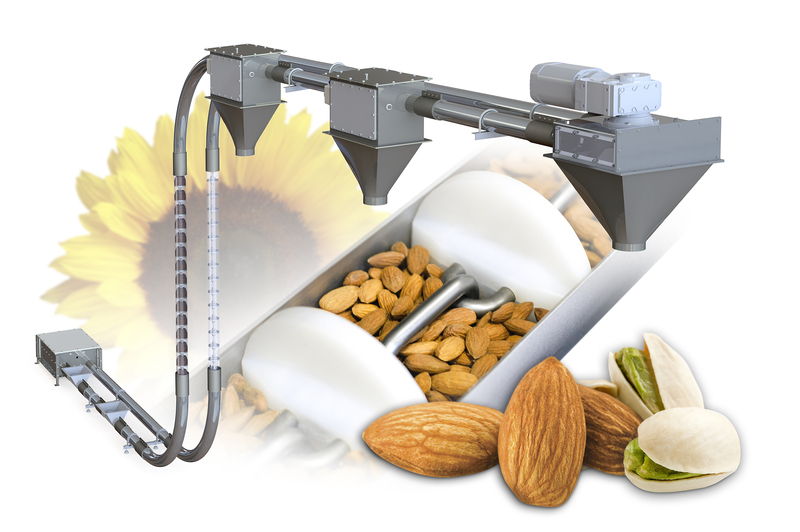 Chain-Vey tubular drag conveyor with optimal design features for the transport of peanut and tree nut products. The MPE Chain-Vey offers the most gentle and efficient form of transportation, offering maximum yields and zero degradation. Its flexible design and compact footprint are sure to fit virtually any configuration. Additionally, with a dust-tight enclosed design, you can be confident your almonds, peanuts and other related products are protected from the surrounding environment. The MPE Chain-Vey also features Clean-In-Place [CIP] capabilities with automated wash cycles for sanitary conveying needs. This new machine allows you to obtain better conveying results with a better conveying solution. For more information about MPE’s complete line of equipment, contact Modern Process Equipment Corporation at 3125 South Kolin Avenue, Chicago, IL 60623, call (+1) 773-254-3929 or visit www.mpechicago.com.